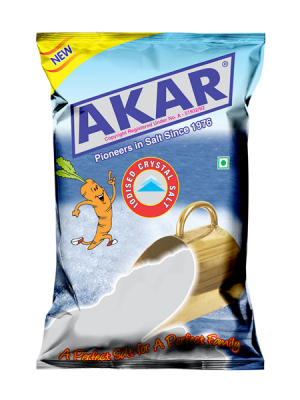 We have entered into the area of salt trade about 55 years back with our own brand, and in the present brand name AKAR marketed directly by us. 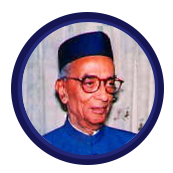 The brand name “AKAR” has been derived after our pioneer Sri A.K.A Rajappa who was the person who started it all. 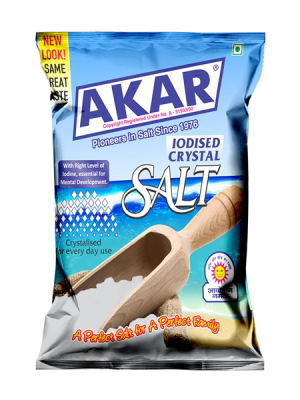 We are the biggest edible iodized Salt dealers in Bangalore selling about 800 tons of Salt per month in spite of tough competition from big organised sectors and brands like TATA, Ashirwad, Nirma Shudh, Safola etc. Our product is available in major parts of Bangalore and in nearby towns and taluks like Gauribidanur, Malur, Chintamani, Vijaypura, Anekal etc. 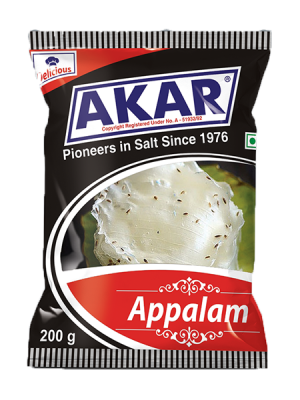 AKAR branded salt is now available in majority of the Kirana Stores, Provision Stores, Departmental Stores, Super Shops thanks to our wide network of supplies in this city through our two selling outlets in Yeshwanthpur (APMC Yard) and New Tharagupet and also through the supplies made by our distributors in this city. When we made our foray into this trade, our product was basically sold in bulk (Gunny Bags) and was available in 50kg, 75kg, and 120kg as per the practise prevailing that time. 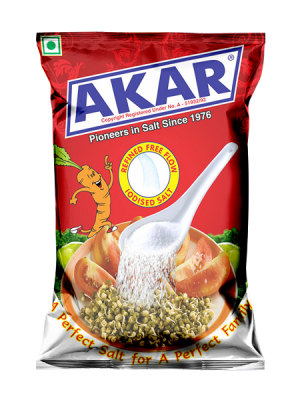 However with changing times the AKAR brand now is available in package form to keep up with the present day requirement and trend. AKAR has always looked in to the health benefits and cooking practise prevailing in south India. Hence our fastest selling item is crystal salt where we without a doubt hold the biggest market share and the entry of various big time players in this segment has had no dent to our nuemero uno status in the crystal salt place. 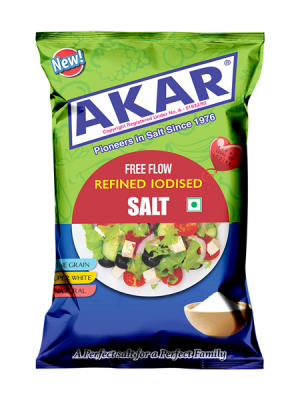 We also have introduced AKAR freeflow salt about 15years back and there too we stand No. 3 or 4 in terms of volumes of sales and market share which is predominantly dominated by big time organised salt brands. 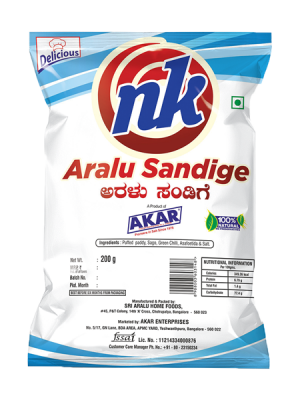 Also we have diversified into other products like “Aralu Sandige” which is sold in the brand “NK” and AKAR Appalam and so far the response to this has been encouraging. It is a matter of great distinction and pride that the brand “AKAR” is synonymous with cooking and taste in majority of the households. 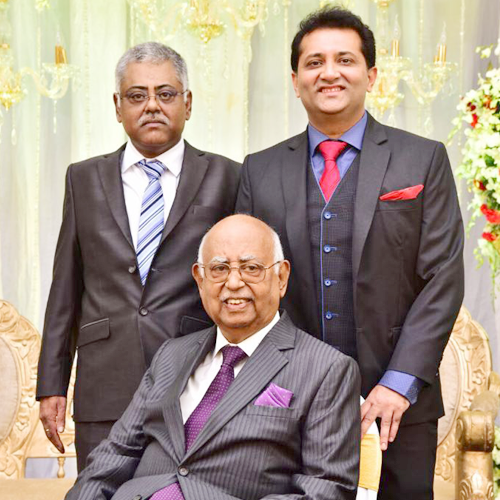 Presently the business is being managed by A R Nirmal Kumar (S/o AKA Rajappa) and his two sons A N Navin and A N Mahavir. We at “AKAR” will strive and continue to know the quality needs of the consumer and provide good quality product and service.